Many old-timers reminisce about the “good old days” when they would head to their fishing hole with the most basic fishing rod and reel and a can of worms for bait. If they were fishing from a boat, you can bet it would be a simple wood boat with a couple of oars to propel it through the water. And while such a setting is fine for some fishing fanatics, going old school isn’t everyone’s cup of tea so to speak. Modern fishing boats are safer, faster, more comfortable and easier to maneuver and make fishing easier and a lot more fun. Modern fishing gear means less skilled anglers can have better success. There is something to be said about the advancements in fishing boats and gear over the years. Many feel these advancements have made fishing even better and we tend to agree with that. 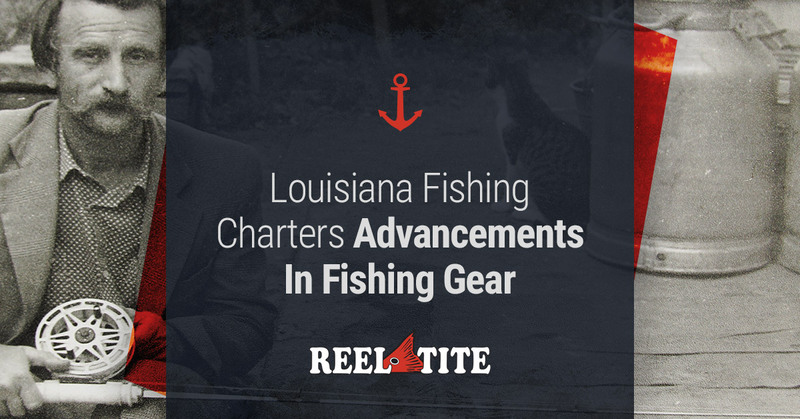 Reel Tite, your Louisiana fishing charter, offers improvements to fishing and boating over the last several decades. New advancements and features such as automatic positioning systems, joystick steering and fuel-efficient engines offer better boating experiences. Modern fish finders offer touchscreens, detailed images and scanning technologies that make them necessary tools for locating your quarry. They make finding fish suspended in the water column a science instead of a guessing game. Women’s fishing apparel has dramatically improved in recent years. There was a time when women’s fishing apparel didn’t even exist. Boxy designs have been replaced with color options, tapered sides and moisture-wicking materials that make fishing for women comfortable and stylish. Present day lures feature significant improvements over the lures your grandfather used as a kid. Modern lures are better in design, detail and materials than lures of the past. Some lures even incorporate LED lights and sounds that mimic shellfish and baitfish, which seems very unfair for the fish. Topwater frogs are so realistic, you feel the need to poke them a couple of times to see if they move. Drag systems are extremely sensitive, to the point that they automatically adjust to the amount of tension that is being applied. Modern reels are made of super-strong and ultra-light materials like graphite and aluminum and have higher line capacities. Modern fishing nets are made of rubber and silicone which helps keep the slime coat, scales and fins intact and helps protect the fish from injury and disease. Old school nylon nets are abrasive and can cause damage to the fish. With waterproof action sports cameras, anglers can take high-resolution pictures under water. And with video options, they can capture the action and post it on social media for others to enjoy. The digital age has provided anglers with the ability to track and record the fish we catch on our expeditions. These apps also track weather conditions, waterway conditions and catch rates. Contact Reel Tite for your next fishing charter.